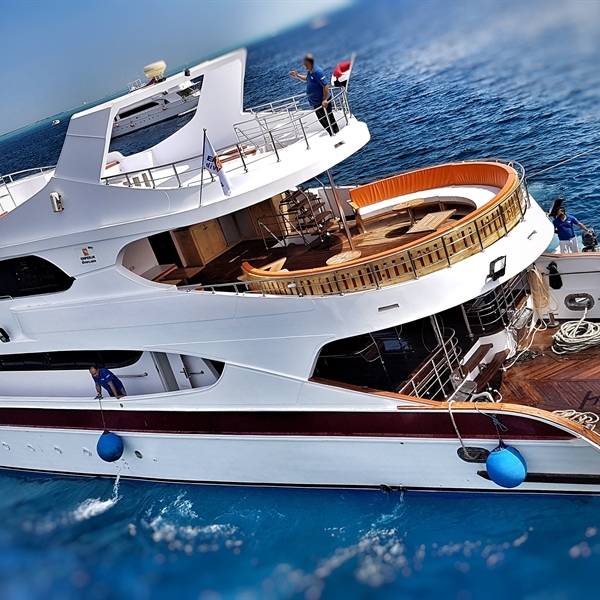 This popular liveaboard offers genuine value for money for divers looking to explore some of the best sites the Red Sea has to offer. 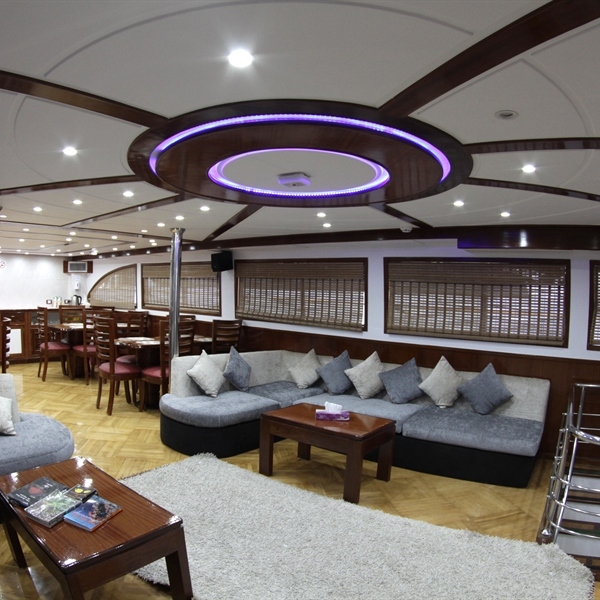 Completely refurbished in January 2015, Emperor Asmaa is designed with the diver in mind, comfortably accommodating 20 people in 10 twin-berth cabins, including 4 which are upper deck. 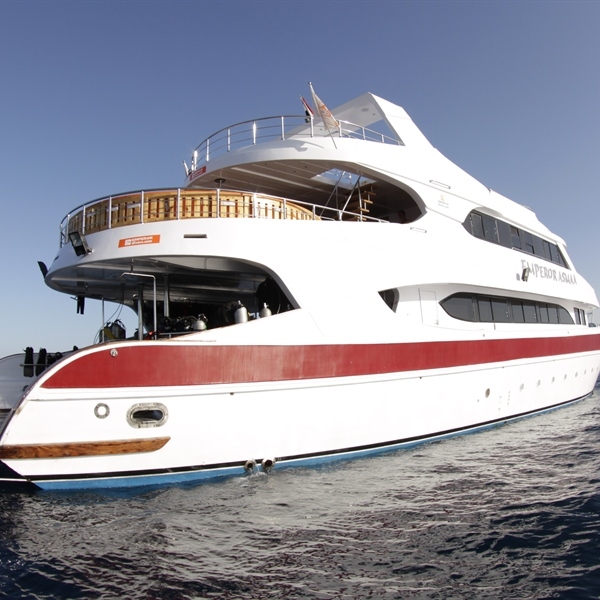 She covers a range of itineraries in the northern and southern Red Sea, sailing from Port Marsa Ghalib and Hurghada. 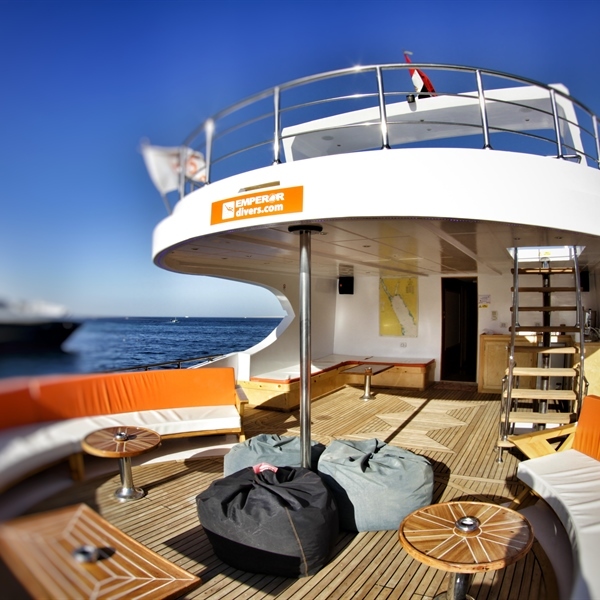 Nitrox is included free of charge but is subject to availability on MAX itineraries. 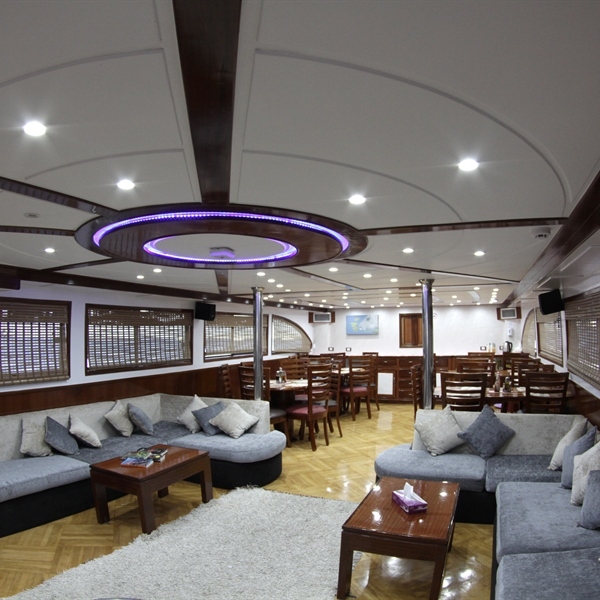 The Emperor Asmaa accomodates 20 guests in 10 twin bedded cabins (4 of which are on the upper deck). 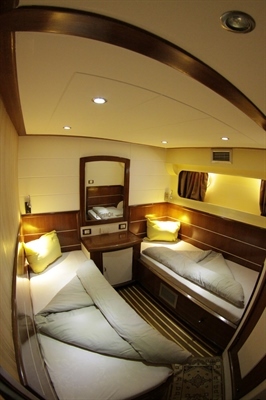 The cabins all have private bathrooms with some bathroom amenities and plenty of storage. 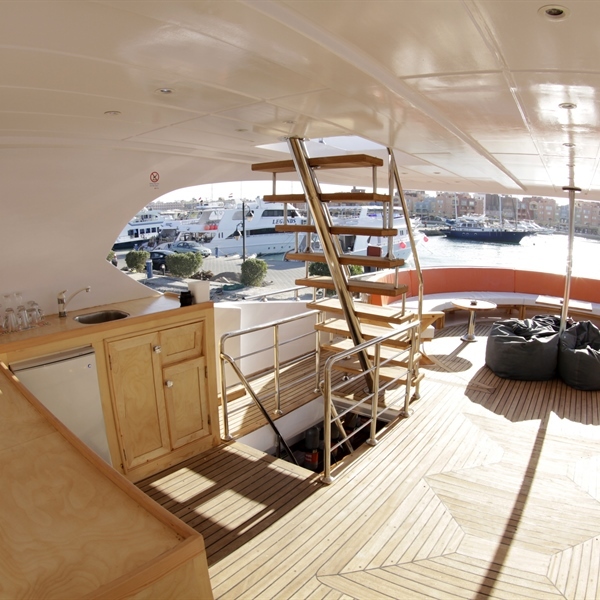 There are 4 cabins on the upper deck, the rest are on the loweer deck. 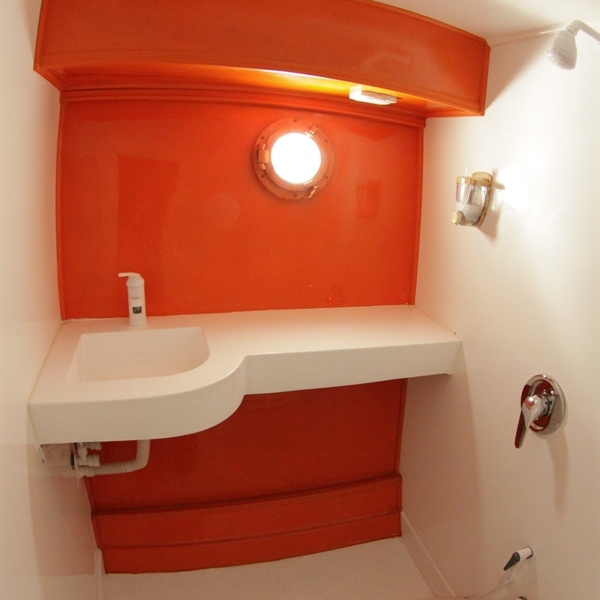 The cabins all have private bathrooms with some bathroom amenities and plenty of storage. You will be offered a delicious variety of food each day, all freshly prepared by professional chefs and served buffet style. During a typical day you will have breakfast, a morning snack, lunch, afternoon snack and dinner, all with a good selection of different dishes. We have not yet heard of a diver returning from a liveaboard holiday any lighter! Tea, coffee or hot chocolate, soft drinks, as well as snacks are complimentary and available at all times in the dining area. You are welcome to bring your own alcohol. Alternatively, beer and wine are available for an additional charge. 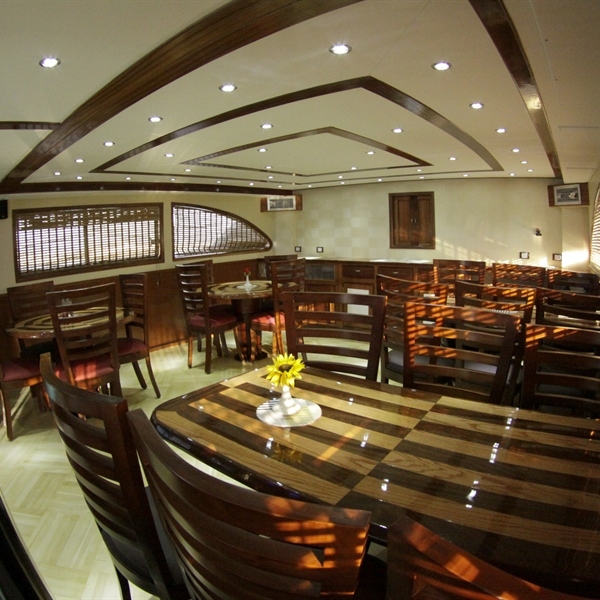 If you have any special meal requests, please do let us know in advance so that we can make the necessary arrangements for when you are onboard. 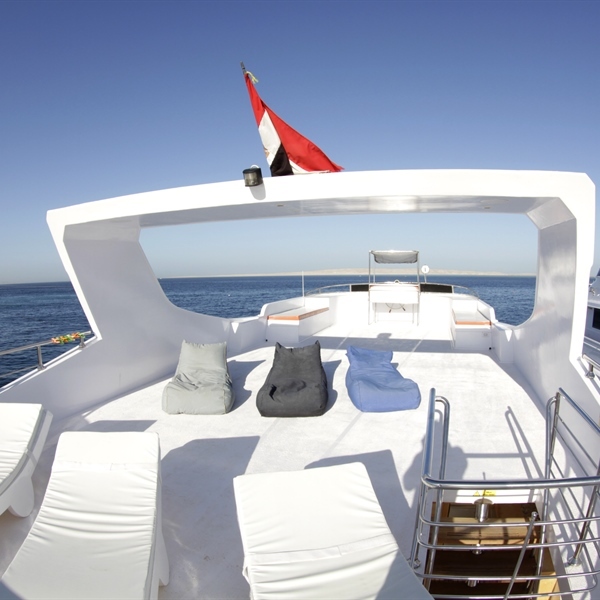 Flights will be from Gatwick to Marsa Alam. The transfer to Hamata will take approximately 2.5 hours. Flights will be from Gatwick, Manchester or Birmingham to Hurghada. 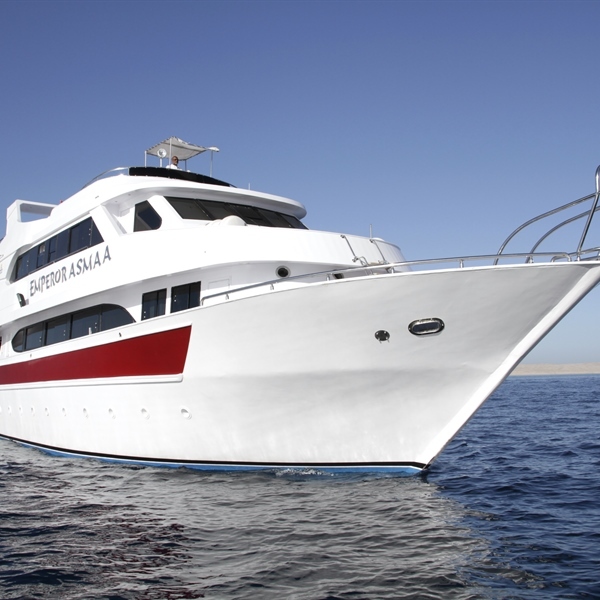 Your transfer time to Hurghada port will be approximately 30 minutes and Marsa Ghalib approximately 3 hours. Please note our website prices are based on flights departing from Gatwick, so please contact us for prices from other regional airports. 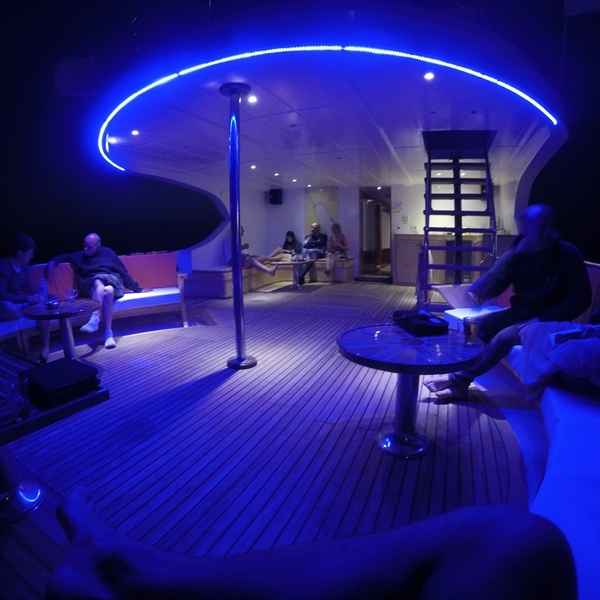 There are a variety of itineraries available. Weights and cylinders are included in your price. A full range of equipment is available to hire if required. Prices available on request. A range of PADI courses are available onboard, from the Advanced Open Water Course to Specialty courses such as wreck, deep, night, navigation, underwater naturalist and peak performance buoyancy to name a few. 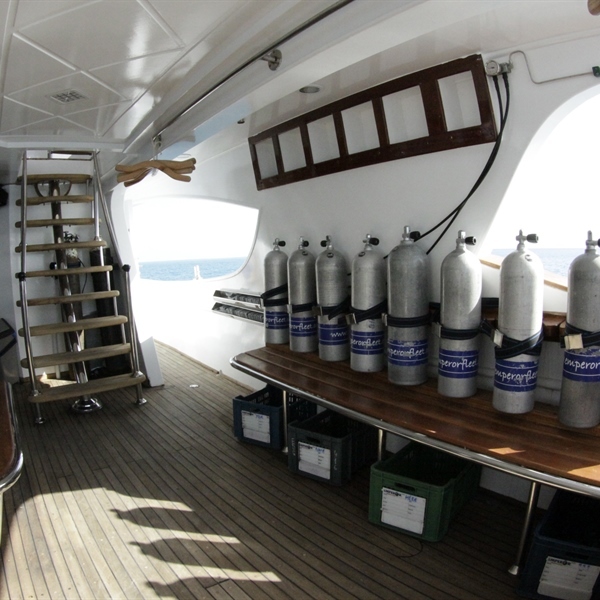 All Emperor boats are able to provide the NITROX course onboard. Please note pre-booking is required for equipment and courses, courses are also subject to availability.